Augmented Intelligence helps prompt the users to understand where they are in the opportunity or account and suggest next actions. Augmented Intelligence also helps sales teams execute with more judgment and delivers better outcomes. Earlier this week, Altify, the pioneer in digital sales transformation software maker- Altify, released a new version of their flagship platform featuring the introduction of augmented intelligence into account planning. Their mission — Delivering best practice sales coaching directly into the application to help sales teams more effectively add value and find new potential opportunities. In short, accelerating digital sales transformation with the use of Augmented Intelligence and AI. 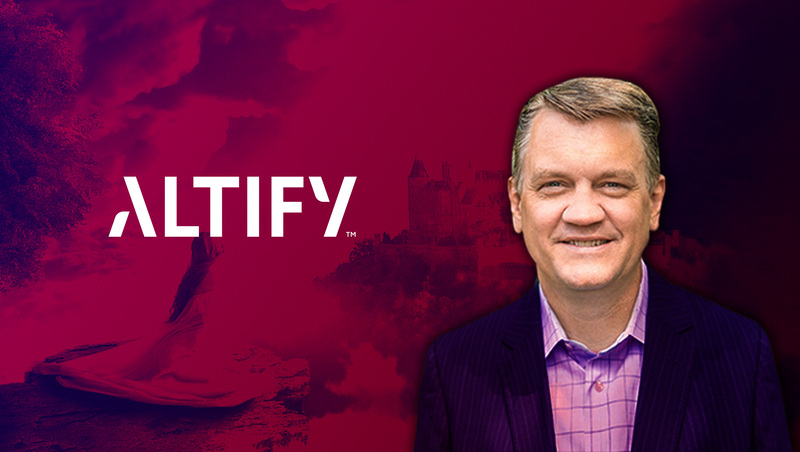 To better understand the whole journey of bringing Augmented Intelligence at the core of Digital sales transformation, we spoke to Altify’s CMO, Patrick Morrissey. Tell us about the role of Augmented Intelligence in digital sales transformation? Digital transformation in sales is all about changing the teams’ work in an information intensive, highly collaborative, always mobile environment. For most companies, the idea of AI is artificial intelligence – helping develop ways to automate with learning systems. At Altify, Augmented Intelligence is all about guiding the sales teams with suggestions and best practices built into the application to be more effective in account and opportunity planning. Define the ‘State of Sales Transformation’ in 2018? How do you enable customers to adapt to this state quickly? Sales transformation is a priority for everyone in B2B selling, and for most companies, it’s still very early innings. We see companies across all industries from healthcare and manufacturing to tech and telecoms moving to rethink sales process and approach to keep up with the changing demands of the market. Customers like SDL and Brown Brothers Harriman are moving to capitalize on market disruption in this fast-changing environment. How did you plan the launch of Altify Max for B2B customers? Which new markets and geographies are you currently targeting with Max? Altify Max is existing capability in our product, but only for opportunities. Max provides guidance and best practice based on the heritage of Target Account Selling and decades of sales experience that’s built into the application. With the Summer’18 product launch, Altify is introducing Max to the account planning level, enabling account leaders and teams to benefit from continuous real-time guidance to help navigate, find the white space, and surface new opportunities. We have customers all over the world taking advantage of Max today. Sales at the core is everything about people and problems. Altify helps clients attack both sides of this challenge with relationship map functionality that provides a visual view into organization hierarchy as well as tracking influence and buyer attributes with coaching. This way, every one of the team can understand the people the team is dealing with and their level of influence. We have customers like Becton Dickinson with more than one hundred reps calling on a single customer. 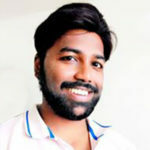 Altify helps them track the relationships, understand the challenges and align all discussions to the client’s needs and the strategy for the account. How do you define and help customers to build “The Path to Sales Mastery” using sales collaboration? Sales is both art and science, and the best practitioners are constantly focused on developing their skills and honing their craft. By bringing guided selling and best practice with methodology directly into Salesforce and the selling experience, we enable customers from the CRO to the front line sales manager to the field AE with daily real-time guidance to make the most of every sales interaction. What makes Altify different from other sales technology platforms? Three core things make Altify different. The first is methodology, coaching and best practice guidance built right into the application to help sellers and team at every step of the way. The second is Augmented Intelligence with Altify that constantly monitors opportunities and accounts in real-time and alerts sellers on what actions to take. The third thing is that our applications are native on the Salesforce platform so we install in minutes, deliver consistent innovation with three major releases per year, and we take advantage of Salesforce’s industry-leading CRM for trust, data privacy including GDPR compliance, and security. What are your B2B sales goals and how do you leverage AI/machine learning to achieve your goals? Most organizations have goals that focus on improvement of sales velocity. These include more qualified opportunities, increased win rates and deals sizes, and reductions in sales cycle time. Augmented Intelligence helps prompt the users to understand where they are in the opportunity or account and suggest next actions. This could be anything from prompting the seller to schedule a deal review by suggesting they test a key executive to determine support, to exposing risk in relationship status based on low coverage. Augmented intelligence helps sales teams execute with more judgment and delivers better outcomes. How should sales organizations strategize and deliver on their Contact Management and Revenue Management budget? Companies should start by putting customers at the center and driving their goals against the customer’s proposed outcomes. Often that requires higher investment in revenue management around accounts and opportunities to provide sellers with the tools they need to deliver to customers. Given the current shift to AI and customer intelligence, what skills and knowledge do sales teams need to close deals faster? Sales teams need to capture more value out of existing systems, starting with CRM in order to give them insights to make decisions and drive value. Artificial and Augmented Intelligence should give reps the ability to spend more time with customers in order to craft solutions and value. It’s less about salespeople needing to have new skills and more about AI’s ability to prompt users with detail and insights. The disruption is already happening. For low end and less complex transactions, it’s likely that AI and automation will replace sellers that don’t provide value. There’s no value add for the customer to have a sales touch. For highly complex sales to large companies in complex and competitive markets, smart use of AI will start to blur the lines in sales and marketing by automating busy work and mapping every process to a buyer journey. That’s highly disruptive for many organizations which organize and go to market in separate silos. Thank you, Patrick, for chatting with us about the current ‘State of Sales Transformation’ in 2018.